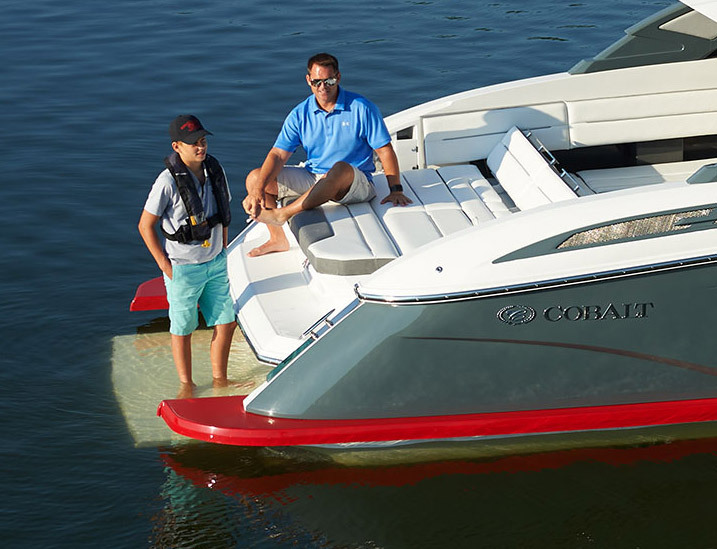 Designed for boating enthusiasts who demand the very best, Cobalt’s A Series delivers unmatched elegance, luxury and performance to create a truly peerless boating experience. 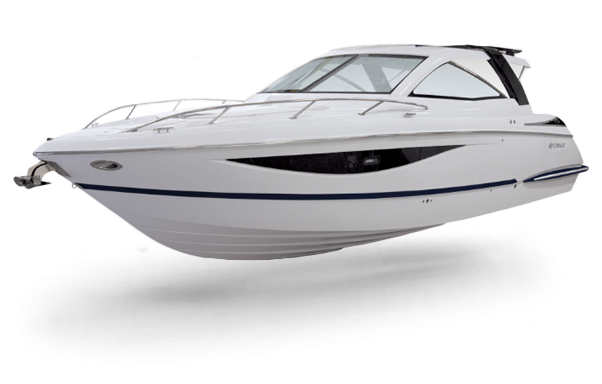 The A Series features the handling capabilities of a 25-foot runabout with the space, beam width and design of a large, premium yacht. Upholding the Cobalt legacy of performance and handling via an extended running surface that facilitates quicker planing, surer turns, and minimized bow rise, the A Series is exceptionally stable at high speeds, providing additional confidence for drivers and unmatched comfort for passengers. 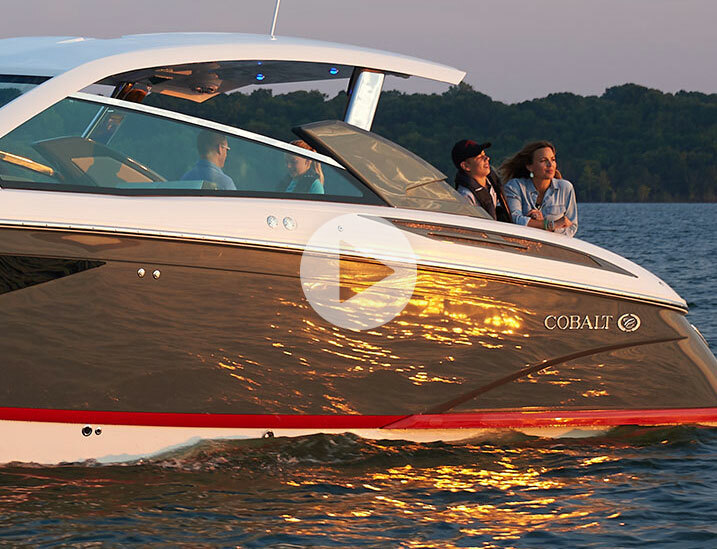 The A Series is Cobalt’s ultimate luxury offering. 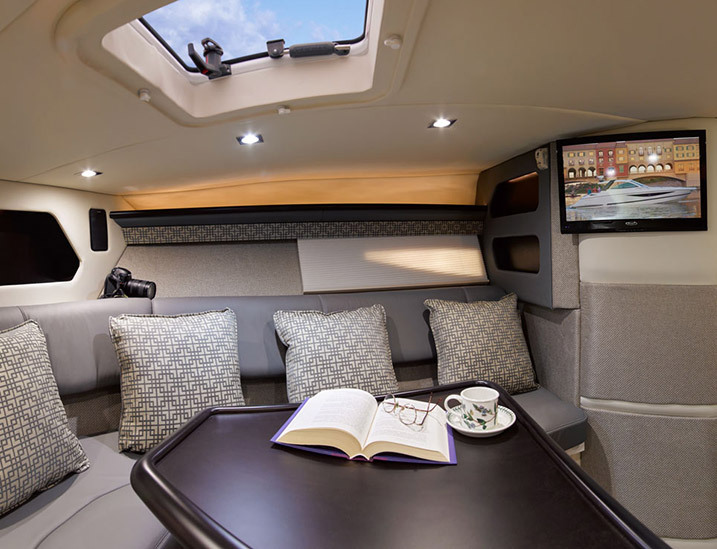 From the cockpit to the cabin to the bow lounges, the A Series includes rich leather treatments real wood accents, panoramic cabin window and LED overhead lighting – a combination designed to give any boater a day, or night, on the water to remember. 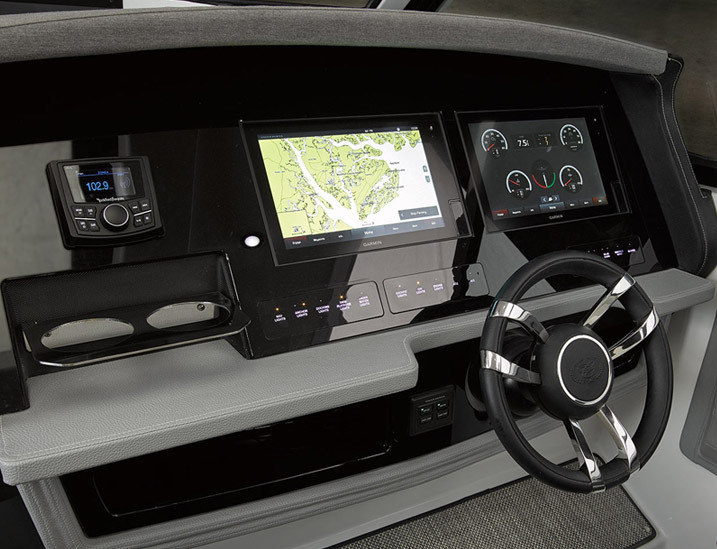 A captain-focused helm offering dual 13″ Garmin touch screens, ergonomically positioned controls and a rich, custom-stitched console. Special to the A Series is the hydraulic swim platform, which lowers well below the water’s surface for easy entry or exit. It functions as the perfect home base for water-borne activity. 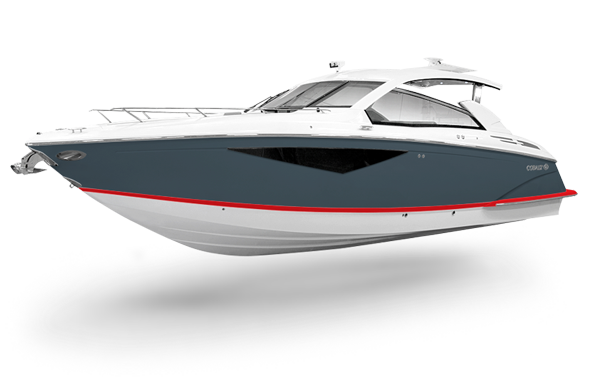 Built with Cobalt’s extended running surface and a Kevlar-reinforced hull, the A Series is purposefully designed to deliver top-line handling, stability and durability. 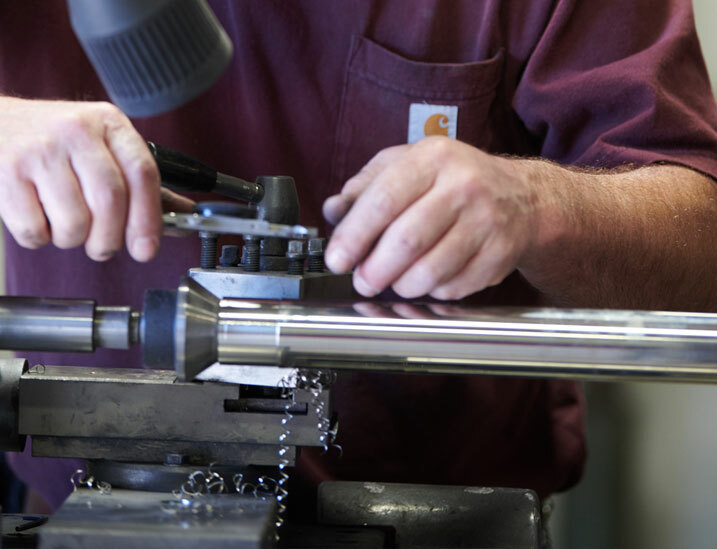 The sleek windshield and integrated top design showcase a seamless, streamlined look.